Throughout 2015 we were working hard to bring you the world’s first dedicated insect cookbook! The Ultimate Insect Cookbook via Frances Lincoln Publishers features over 55 exciting recipes from our very own Seb Holmes, it takes inspiration from around the world to present a range of small plates, meals, desserts and even cocktails using whole and ground insects. 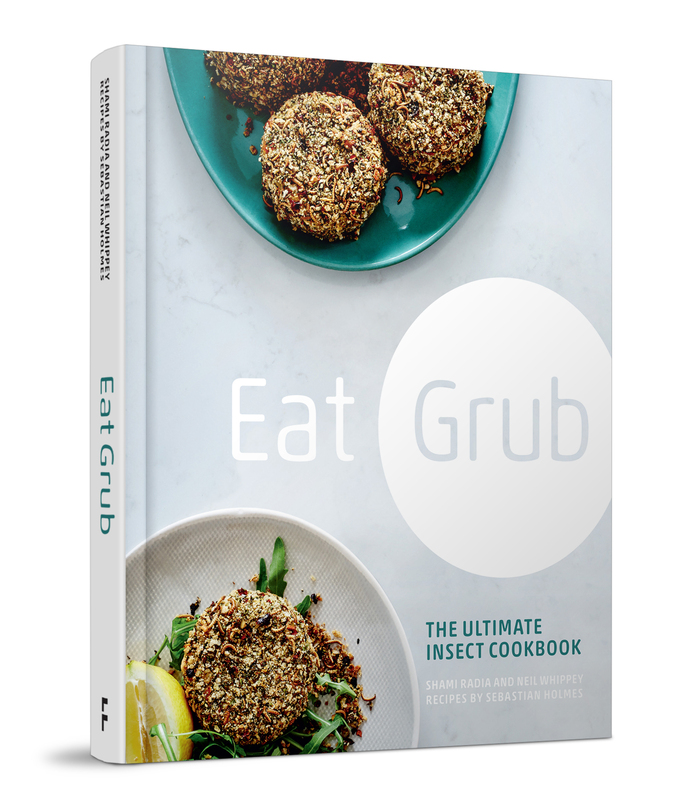 It teaches you how to use insect flours to make healthy, gluten‐free and protein‐rich dishes, and how to puree, bake and grind various insects. Perfect for the insect-eating beginner or seasoned pro. We will also be offering some lucky people the chance to win a copy via our social media pages – you have to be in it to win it. Also, for those who want a little taster, you’re in for a treat as there a couple of recipes on our Cook page.